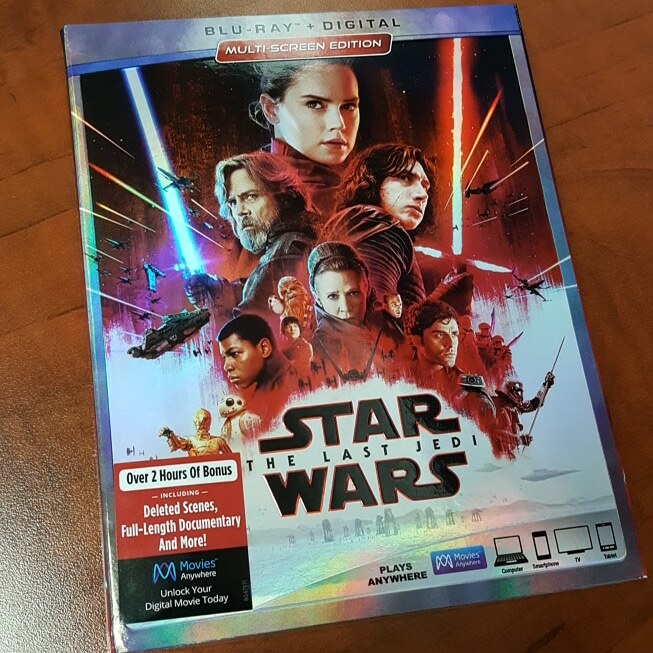 Now you can bring home the movie digitally in HD and 4K Ultra HD and via Movies Anywhere in addition to today's release on 4K Ultra HD Blu-ray, and Blu-ray disc at major retailers nationwide (in addition to online here at Amazon). 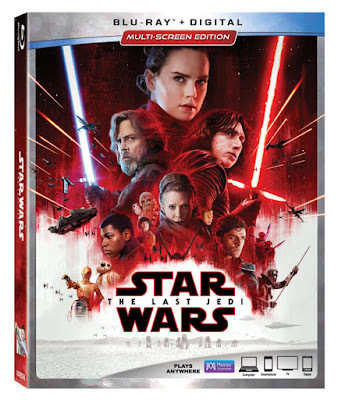 The Last Jedi continues the new saga and picks up immediately from the last scenes of The Force Awakens with The Resistance is fleeing their base on D’Qar with the First Order poised to annihilate them. In the meantime, Rey (Daisy Ridley) traveled to Ahch-To where she finds Luke Skywalker (Mark Hamill) who disappeared many years prior. 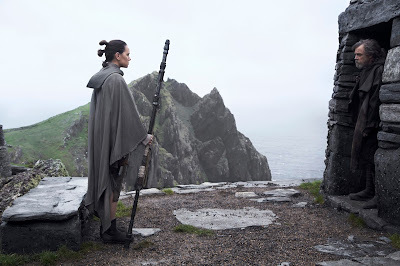 Her intent is to get him to return in hopes of putting a stop to the First Order as well as learn more about how she is including her connection to the Force and the Jedi, but Luke has no interest aiding them and instead proclaims he has come to the planet to die. I loved the visuals and special effects in the movie! I did feel the newer characters didn't quite have the impact on the story as the original trio of Luke, Han and Leia. I was curious to see how the movie would handle Leia at the end since she has since passed away and I was a little confused that she didn't seem to get a proper passing or send off and she was actually alive at the end of the movie. I don't know what that means for future movies if they continue with the franchise. 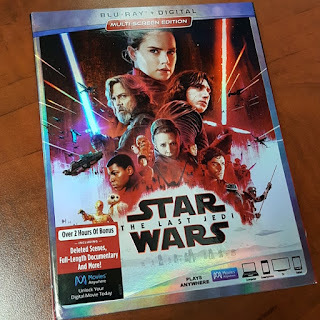 The Bonus features are awesome - Some of the bonus features include Deleted Scenes, Audio Commentary, Scene Breakdowns and more!